OB/GYN Specialists Providers Marc A. Wilson, M.D. Marc A. Wilson, MD, FACOG, is a board-certified OB/GYN specializing in high-risk pregnancies, endometriosis, abnormal bleeding, disease prevention, infertility services, and weight management. Dr. Wilson has worked in private practices for more than 12 years and currently serves women in the Denton, Texas, area, at OB/GYN Specialists. 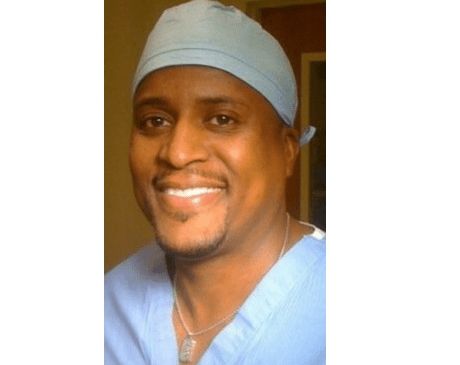 A Little Rock, Arkansas, native, Dr. Wilson knew he wanted to be an OB/GYN physician at an early age when he had the chance to shadow an OB/GYN and witness the miracle of birth during a career day field trip. Once he obtained his Bachelor of Science Degree in biology from the University of Central Oklahoma, Dr. Wilson received the prestigious Ungerman Four-Year Full Scholarship for the University of Oklahoma Medical School, where he thrived academically. Dr. Wilson even went on to become the first African-American student to be accepted into the OB/GYN Residency Program at the University of Oklahoma Health Sciences Center. After more than a decade in the medical field, Dr. Wilson has come to find that the doctor/patient relationship works best when each patient is treated like a beloved family member. That dedication to compassionate, individualized care has earned him several community achievements, including being voted Best OB/GYN Physician in Denton County. As an active member of the American Medical Association, the Texas Medical Association, the National Medical Association, the American College of Obstetrics and Gynecology, the American Board of Obstetrics and Gynecology, and the Denton County Medical Society, Dr. Wilson has made it his mission to help others succeed in the medical field. When he is not helping women throughout their pregnancies, delivering babies, treating diseases like endometriosis, and more, Dr. Wilson loves spending time with his wife, Chelle Luper, and their three beautiful daughters, Sasha, Sydney, and Saige.